When it comes to vacuum pumps, Leybold is an industry leader for complex, high perfor­mance machinery in chal­len­ging envi­ron­ments. With versa­tile and heavy duty vacuum pumps in opera­tion across the entire planet, used in inno­va­tive projects such as the Hyper­loop and the CERN, Leybold was sear­ching for an enter­prise solu­tion that would provide their clients with a cost effec­tive method of perfor­ming complex pump repairs and main­ten­ance. Ideally, Leybold wanted to eliminate the need for its clients to have to call out service technicians for regular maintenance and empower them to make repairs on site, the moment they were needed. 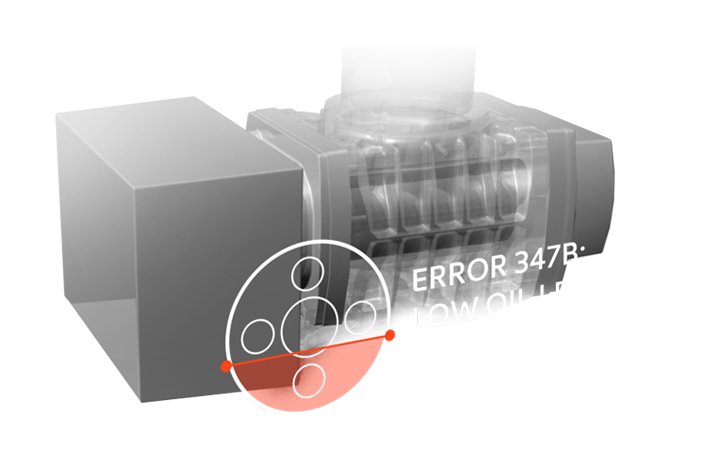 The Leybold “Smart Service Assi­stant” empowers both Leybold and its clients alike by drama­ti­cally simpli­fying the repair and main­ten­ance process with a human-centered, avia­tion style check­list. 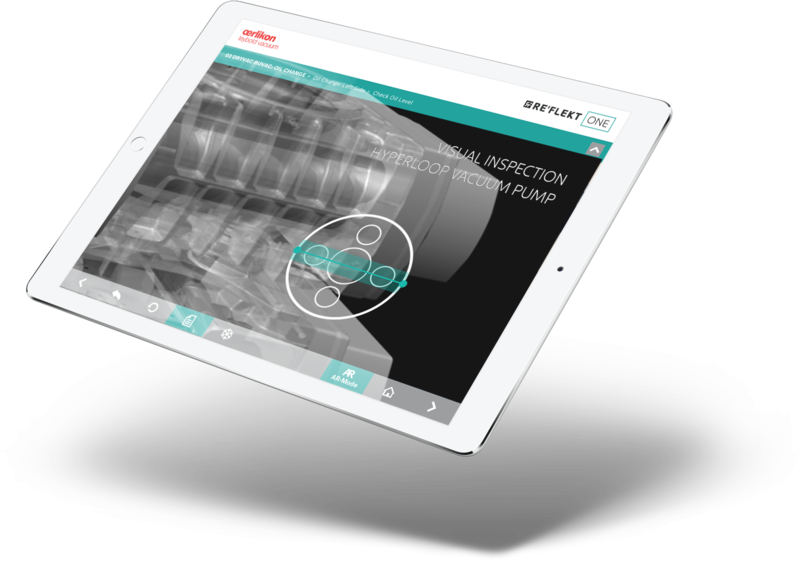 Pump owners are now able to use crisp Augmented Reality visuals hugging real-life on screen coun­ter­parts to guide them through the highly complex 35 step repair and main­ten­ance process. Just point the iPad at the pump and regular tech­ni­cians can perform repairs imme­dia­tely without any specific previous tech­nical know­ledge. 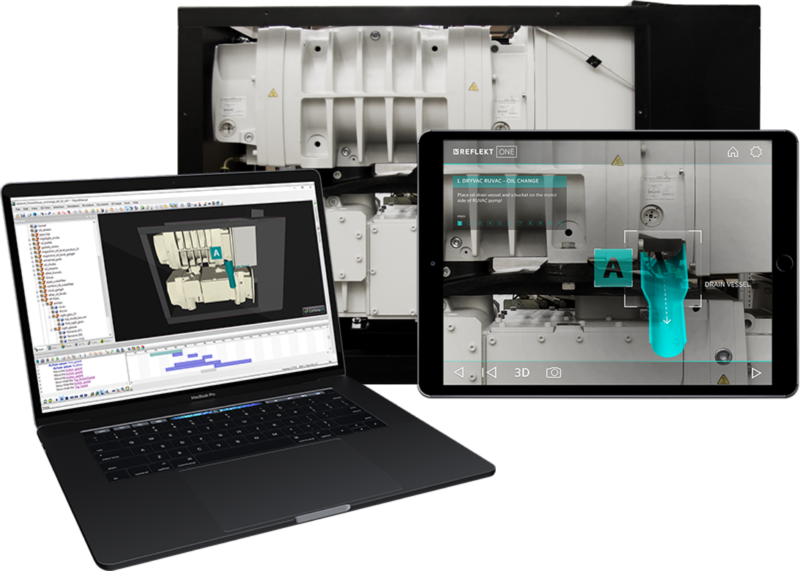 Using the REFLEKT ONE content plat­form, Leybold tech­nical editors were able adapt their exis­ting work inst­ruc­tions for the augmented reality app – without any addi­tional computer specia­lists and without having to create comple­tely new custom scen­a­rios. WANT TO MAKE YOUR OWN INDUSTRIAL AR APPLICATIONS? This is just one example of how our clients have made their own Augmented Reality Apps for industry. Click here to find out how you can also reuse your exis­ting 3D data and hand­book content to create your own Augmented Reality Appli­ca­tions for Main­ten­ance, Opera­tions and Trai­ning.